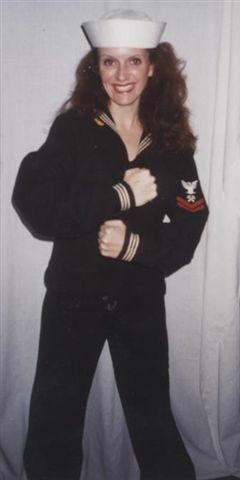 Captain ObviousCaptain Obvious rents for $100 head to toe except for facial hair which can be bought separately. 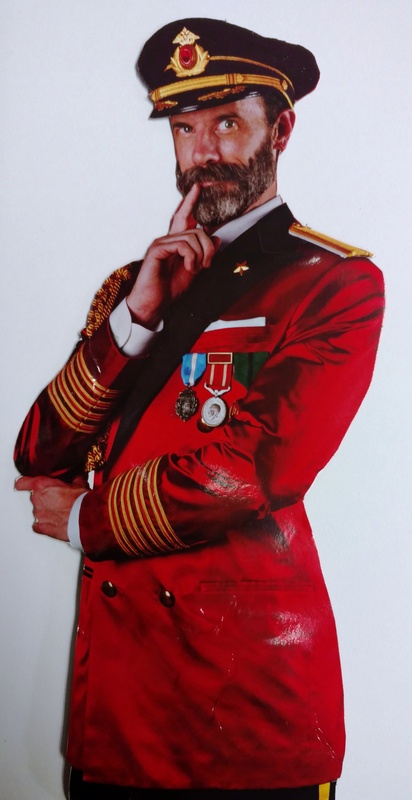 We would consider Captain Obvious as a Halloween costume that is easy to wear and very recognizable. 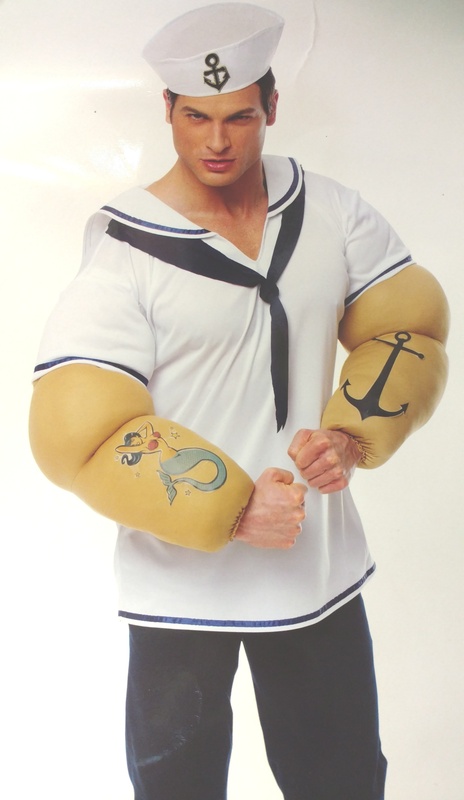 Sailor Man This spinach-eaten sailor costume comes with hat, pipe, shirt, stuffed arm covers, pants, and shoes. 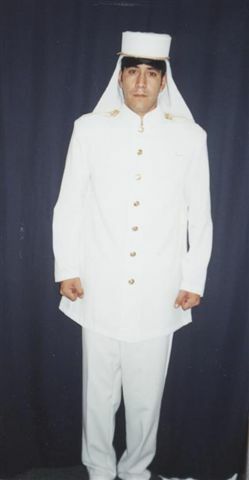 Who doesn’t want a man dressed in uniform? 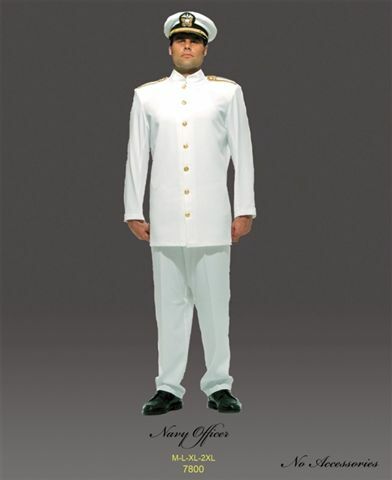 That tailored well pressed uniform can make any man look gorgeous. 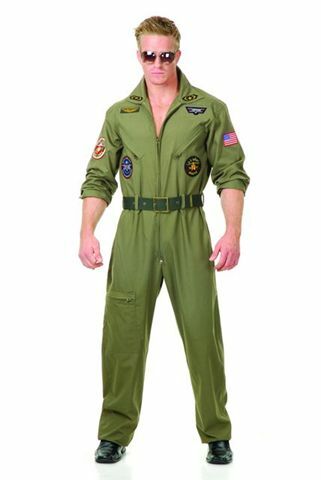 If you are looking for costumes of the men in uniform, whether it is the army, navy, marine, air force, seamen, cadet, general ,private, corporal, buck sergeant, sergeant, master sergeant, lieutenant, major, colonel, you can trust that we have them all for you. 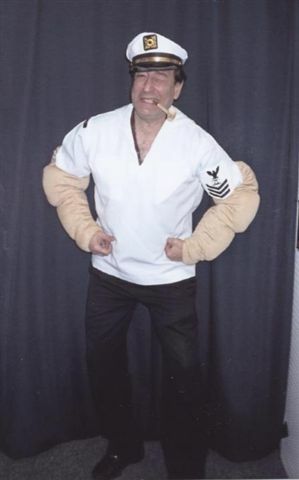 If you want, we’ve got complete costumes for General Patton, General Eisenhower, General MacArthur with accessories that come with them. You can also choose to come as a Rough Rider or a Calvary horseman,maybe General Lee or General Grant and we’ll take care of the entire get-up, perhaps even a horse.